Welcome to Our Lady of Grace and St. Joseph, two of the most deeply-rooted and oldest Roman Catholic churches in the United States. As of January 2008, we merged into one parish with one web site. This web site provides an overview of the ministries and activities that occur in our parish. At this time we would like to extend a warm greeting to you and encourage you to explore the rest of the site. We are a large community that is here to help fulfill your spiritual needs as well as help you find some peace in the busy Hoboken and Jersey City areas. Throughout these pages you’ll notice that we are here to help support you locally as you live the Catholic faith in a global society. Our entire parish family wants you to know that regardless of any situation or the past, we welcome you to share your talents and interests with us. Each day we strive to create a spirit-filled and service-oriented parish that is a beacon of faith, hope, and love not only within our community but in our society as well. 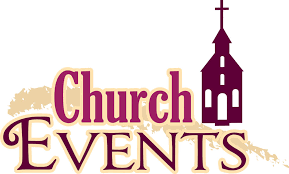 Please feel free to visit us at anytime, join us at one of our masses, or attend one of our events! Once again, welcome to our parish, and we look forward to growing in faith with you. May god bless you and keep you. Every Tuesday evening at 7:30 in the Parish Center Fr. Phil instructs our candidates for Confirmation and to become Catholic. This is an excellent opportunity to learn about our faith and any parishioner is welcome to sit in on any Tuesday. Upon request, we will prepare an annual donation statement provided you use envelopes, checks or online giving. Once it is ready, you may pick it up at the Parish Center or at St. Joseph Rectory. Or you may pick it up on Sunday after Mass at either church. We will not mail them out nor may we fax them since each statement has a raised church seal imprinted. Please do not wait until April and request them now by calling Ronnie at 201-650-0369 or Catherine at 201-659-0221 or e-mailing the parish e-mail listed on the bulletin cover. From now on, we will not accept a wedding for people who register just to get married here. We expect you will worship for a period of six months before we even set a date for a wedding. Once you satisfy this requirement, we can set a date one year in advance from that time. We are not a typical parish. We have people who move to Hoboken from all over the country and even world. Some people decide to marry in their home parish or elsewhere and you will receive permission after you have worshipped for six months. WE HAVE A FULL and exciting schedule of events planned for 2019 and will reveal them soon. We thank Kate Callahan and Peter Owens for their hard work and leadership. Keep up with the group’s activities by signing up on FACEBOOK.. "Young Adults of Our Lady of Grace, Hoboken, NJ”. GOSPEL OF LUKE: The Young Adults will study the Gospel of Luke for four Wednesdays ending February 13. It will be an informal study of praying the Gospel, reflecting and understanding. All young adults are welcome to participate from 7:30-8:30 in the Parish Center. You may come for any one session even if you missed the first. RETREAT: Mark Saturday, March 30, 2019, for our annual retreat day at Villa Walsh, Morristown. More details to follow. February 25 tickets are available after Mass. Please take some to work or home to sell to your co-workers or neighbors. You may also contact Ronnie or Catherine in either parish office and they will mail you some. Proceeds help us to restore our historic churches.